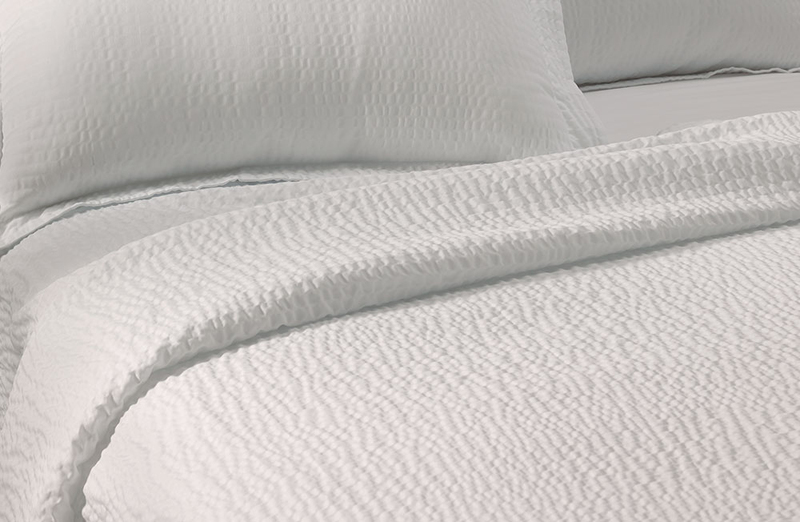 Stylish and versatile, this lightweight coverlet makes the perfect flat sheet or decorative top layer for your bed alongside our matching shams. 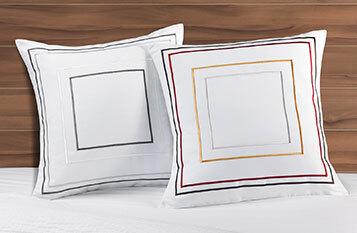 The snow white hue and unique texture beautifully complement your Courtyard bedding collection. 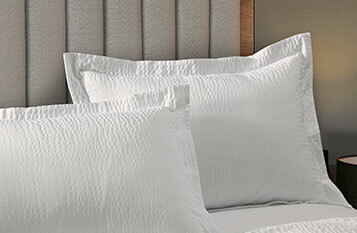 Achieve the ripple texture by washing and drying your Courtyard coverlet before first use (they will arrive smooth). The wash and dry activated pattern then becomes visible as the soft cotton-blend puckers and folds to create a lush, natural texture.